Great produce deserves great protein. So you may notice a theme here. We are as passionate about our food as we are about cooking it because we love to eat…yup! 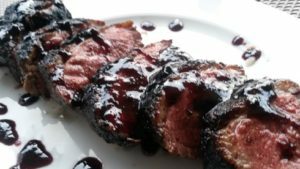 I am always trying new recipes and could probably be a full time professional at attending cooking classes and playing in the kitchen or BBQ. Straight away I had to give it a whirl. We were blown away. It lights perfectly and has this crazy high even heat that lasted for hours. I kid you not. I took the following pictures as I kept going back to find it was still burning red. A dream to cook on. 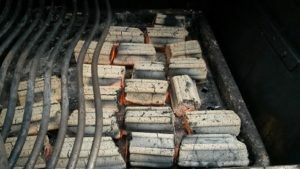 This is the story of QUE and the beginning of eco-friendly grilling. Our charcoal is made from coconut shells, left over after using the coconut for food production. 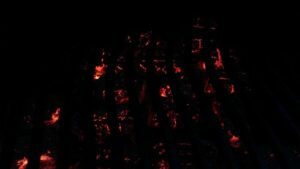 We are making 100% natural charcoal that burns up to 50% longer & 30% hotter than traditional charcoal briquettes. 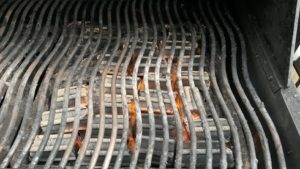 There is virtually no odour and a subtle flavour when QUE burns, with little ash or flare-ups. 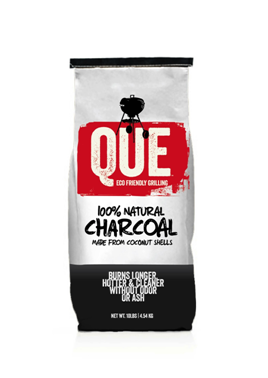 QUE charcoal uses no wood, chemicals or preservatives. That means no tree is harvested to make our charcoal. 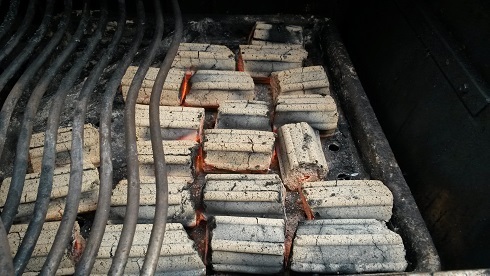 The shape of our briquettes may look different but that unique shape provides a more consistent burn for more successful grilling. 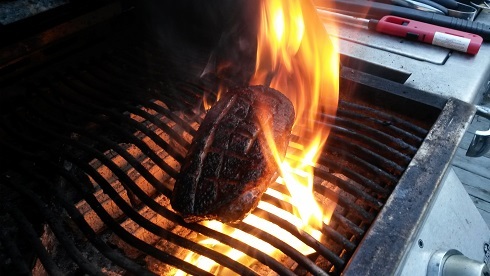 You use QUE just like traditional charcoal: open the bag, pour in the desired amount, light and prepare your food.